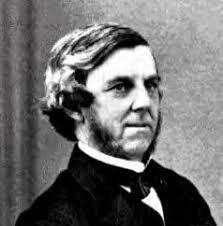 Oliver Wendell Holmes, Sr. coins the famously comment that "if all medicines in the world were thrown into the sea, it would be all the better for mankind and all the worse for the fishes". Alice in Wonderland by Lewis Carroll is released. It is often described as a mind control book, dealing with self-sustaining Kafkaesque insanity, asymmetrical logic and Identity Switches. "Down the Rabbit-Hole", the Chapter 1 title, has become a popular term for going into an adventure to the unknown. In the film 'The Matrix', Morpheus says to Neo: "I imagine that right now you're feeling a bit like Alice. Tumbling down the rabbit hole?" He also says, "You take the red pill and you stay in Wonderland and I show you how deep the rabbit-hole goes." In computer gaming, a "rabbit hole" may refer to the initiating element that drives the player to enter the game.